Amitabha Kadampa Buddhist Centre began in Palmerston North and surrounding districts in 2004. We offer a programme that is dedicated to fostering peace in our hearts and in this world. The programme at Amitabha Centre provides practical methods for improving our human nature and qualities through developing the capacity of our mind. The classes, courses and retreats cater for people of all levels from complete beginners to advanced practitioners. We are a Kadampa Buddhist Centre. Kadampa Buddhism is a special tradition of Mahayana Buddhism founded by Atisha (982 – 1054 CE), an Indian Buddhist Master largely responsible for the reintroduction of Buddhism into Tibet in the eleventh century. A Kadampa is someone who integrates their knowledge of all Buddha’s teachings into their everyday life. Our centre at 174 Albert St; Palmerston North, cosists of a residential space, our office,a meditation class teaching space and a peace garden. No particular clothing is required. Just wear something comfortable. There is a suggested donation of $12 or affordable contribution for regular weekly classes unless otherwise stated. As a non-profit organisation, all class and membership donations go towards supporting the centre and branch classes. Our centre is self-supporting so this includes admin costs, venue hire, teaching programme costs and so on. The centre sounds great but I don’t live in Palmerston North. Is there anything like this near me? 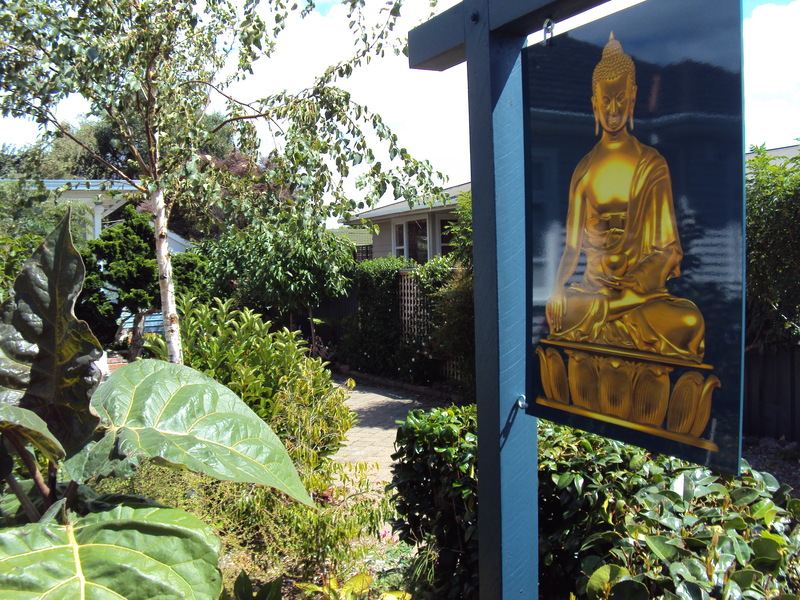 The Amitabha Centre has regular branch classes in Feilding, Levin, Whanganui and New Plymouth and we also have students in other areas who study by correspondence.